Hope 4 is a community outreach programme of the church held each Thursday night during the winter months, June to August. 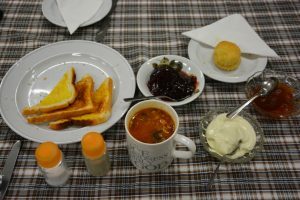 They serve a variety of homemade soups plus a small dessert for a gold coin donation. Join us for delicious soup, toast and dessert. There is usually a selection of 4 soups. Tea and coffee also available. All are welcome to attend. Bring your family and friends for a night of warm fellowship. Many friendships have been made over the years.